• The eighth annual Automotive News Europe/IHS Automotive OEM-Supplier Relations Study was conducted in May and June 2012. • Executives at 230 automotive suppliers rated automakers on 29 metrics such as payment terms, quality of communication, keeping agreements on price, demands to achieve high quality, opportunities for new or increased business. • Of the respondents, 46 percent have their company headquarters in North America, 40 percent in Europe, 10 percent in Asia and 4 percent in the Middle East and Africa. MONTE CARLO, Monaco – BMW edged Porsche to finish No. 1 in the eyes of partsmakers in a new study on automaker-supplier relations that was presented at the Automotive News Europe Congress today. 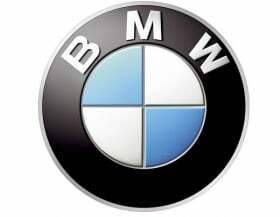 BMW finished on top with 617 out of a total 1,000 points in the 2012 Supplier Relationship (SuRe) index – a ranking of 28 global automakers done by suppliers. The results were part of the eighth annual Automotive News Europe/IHS SupplierBusiness OEM-Supplier Relations Survey. BMW returns to the top of the study for the first time since 2006, when it scored a record 712 points. BMW's rise to No. 1 came because it improved its score in a key part of the study: providing suppliers with the potential to make a profit over the lifetime of a contract, said IHS Automotive analyst Matteo Fini, who led the study. A cost-cutting program at BMW has affected its supplier relations for the past few years, and even with the victory this year the automaker is still well below the 650-point level that Fini said indicates a good relationship between the two sides. Porsche, last year's top finisher, was second this year with 611 points while Mercedes-Benz (606), Jaguar Land Rover (599) and Toyota (599) rounded out the top five. Jaguar Land Rover moved into the study's upper end because of a 49-point (9 percent) year-on-year improvement in its score. The Indian-owned British brands have been steadily climbing in the rankings for the last three years. JLR, which Tata Motors bought from Ford in 2008, offers the best profit potential of any automaker in the ranking, according to suppliers surveyed in the study. Suppliers also voice excitement about JLR's plans to expand its UK facilities. Said Fini: "The ramp-up in demand is challenging Jaguar Land Rover to secure the necessary supply lines to meet that demand, and it appears that tough price negotiations might not be the OEM's very first concern." Overall, the average score for automakers rose to 515 from last year's 514 points, which was the lowest SuRe index total since the statistic started being kept in 2006. This year's score also is well below the average scores recorded in previous years of the study. Skoda's score slipped 43 points from last year, falling below 500 and pushing its ranking below the industry average. Nissan's score declined by 30 points to 523. The dip was blamed on Nissan's aggressive demands to cut prices. Some suppliers said that an annual 5 percent reduction has become a standard for Nissan, Fini said.